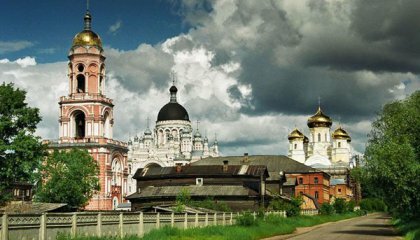 Our company, “Center Ltd” is situated in an ancient Russian town of Vyshny Volochyok. This is a town with a very interesting history that left a great cultural heritage to our contemporaries. The name itself has ancient roots and deep historical meaming. 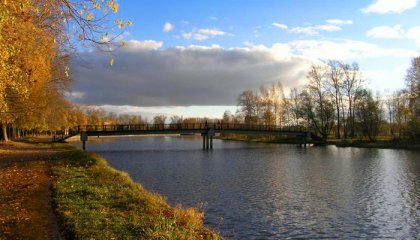 The word “volochok” is affectionate diminutive of “volok” («portage») because in old times there was a shortcut passage here between two rivers – Tvertsa and Tsna – right on the modern town site, and it was used for carrying boats overland – portage. The small extent of this portage was marked in the language memory with the diminutive form. The word “Vyshny” (“Higher”) was used to distinguish this portage from another, “Nizhny” or “Lower”, situated near Borovitsky Rapids on Msta River and now extinct. Vyshny Volochyok was first mentioned in chronicles in 1437 but it may be considered that the settlement was founded much earlier. Placed right on the water trade route from the Caspian Sea and also between Moscow and St. Petersburg, the town could not stay away from many important event of the Russian history. 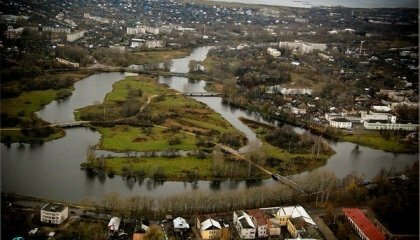 The main stage in the development of Vyshny Volochyok as we know it today was Peter the 1st’s decision to create a regular system of channels to provide a waterway between sea basins. Due to this the town not only became the most important traffic center of its time but also the modern “Tver Venice”. The historical center situated on the bank of several channels and rivers is still well preserved. It attracts the real lovers of the antique by an inimitable combination of two trends: Old Russian spirit filling the quiet narrow streets built up with wooden houses with intricately carved frames, but also the regularly designed channels and quays of Peter the Great’s time. The stunning landscapes of Valdai Elevation that have always attracted painters and poets will not leave our contemporaries unmoved as well. The fact that our company “Center Ltd” is situated on this ancient land means a lot to us. “Center Ltd” carries on the trade that is directly connected with historical heritage of our country. 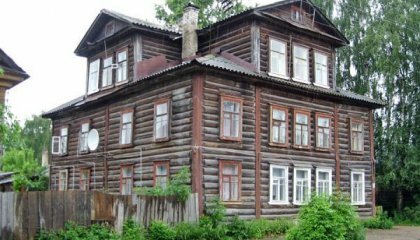 We have been looking for and collecting piece by piece the ancient houses, materials they are made of, antique furniture and household items in various distant parts of the Russian North for more than 20 years already. If you desire to finish the inside or outside walls of your house with antique planks that are well seasoned for decades (or even centuries), you may purchase planks in our company. 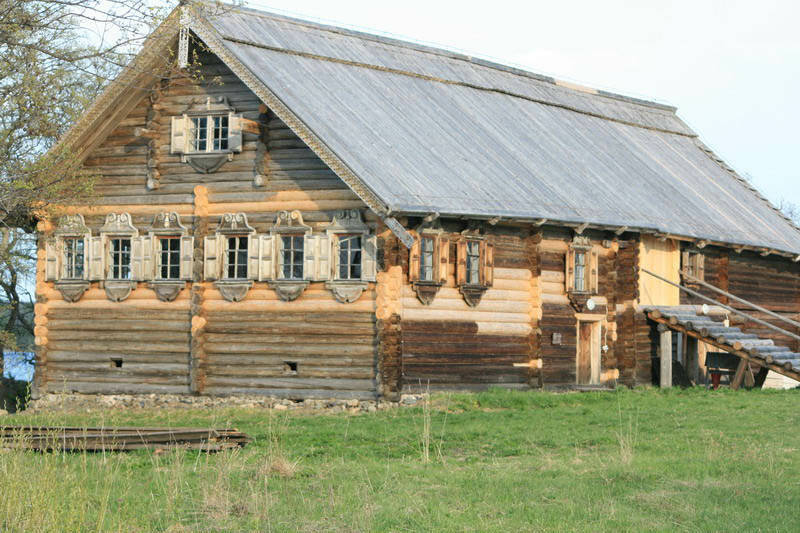 The customers who decide to buy a complete ancient house frame must not worry about the details: we sell the Russian North houses providing disassembling, transportation and installation. We also use antique forged nails for assembling houses on customers’ premises. The antique furniture is sold without restoration, but we can wash off the old paint layer on customer’s request. We carry on procurement only in Arkhangelsk, Vologda, Kostroma and Nizhny Novgorod Regions. It is very important for us because these are regions with a long and rich history where one can find the most interesting and valuable cultural artifacts dated form one hundred to three hundred years. Severe winters make the timber extremely tough – that is why our customers value it.